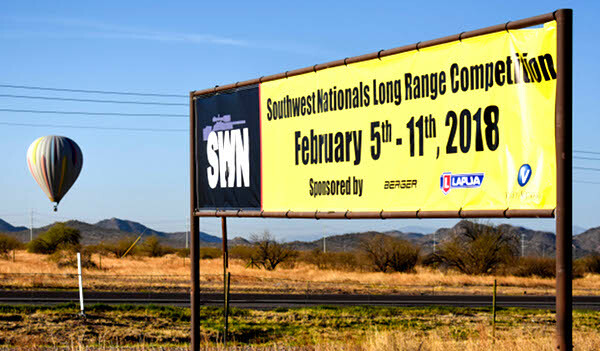 Today was the final day of the Berger Southwest Nationals (SWN). Two 1000-yard individual matches were scheduled. But the weather gods did not cooperate. 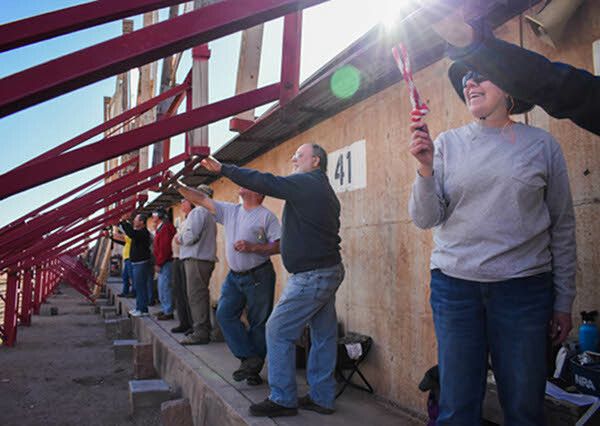 Sunday matches were cancelled due to high, gusty winds from the North-Northeast that made it very difficult to handle the large, wood target frames. With concern for the safety of pit workers, match organizers waited until 10:00 am, then canceled the matches. It was a disappointment for some, but all the competitors still enjoyed a great week at Ben Avery. With the cancellation of Sunday matches, the three individual champions — Sling Division, F-TR, and F-Open have been decided based on the Friday and Saturday results. We congratulate the three new Champions: Bob Sebold (F-Open), Phillip Kelley Jr. (F-TR), and Allen Thomas (Sling). Team matches concluded yesterday, Saturday. In team competition, Team Lapua/Brux/Borden won the F-Open Division, while Team McMillan finished first in F-TR Division. 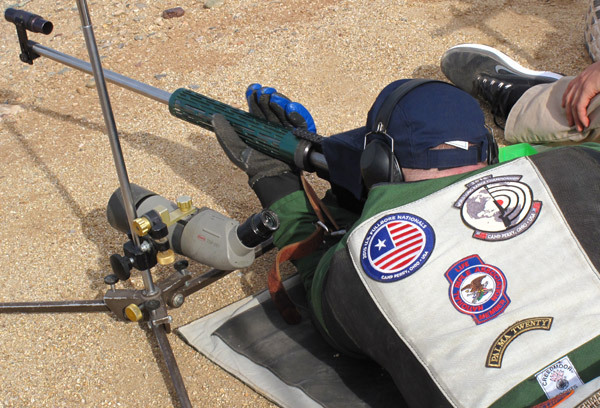 In the Sling Division, Team USA National Hayes topped the field. Congratulations to the winning teams. Saturday’s weather was not kind to shooters. Along with cloudy skies came wind — lots of it. The wind was veering, and gusty — with significant changes in velocity. It was hard to predict the cycles — if they could be called that. Erratic was more like it. Many shots were out in the 7 and 8 rings. One champion-level shooter told us: “That was ugly — I got my clock cleaned”. Another shooter said “I ran out of paper to hold off”. At one point, Team Lapua/Brux/Borden (LBB) waited over 30 minutes to take a shot, hoping to get into a steady condition. The patience paid off. Team LBB shooter Jay Christopherson’s final shot (after the long wait) was a 10. 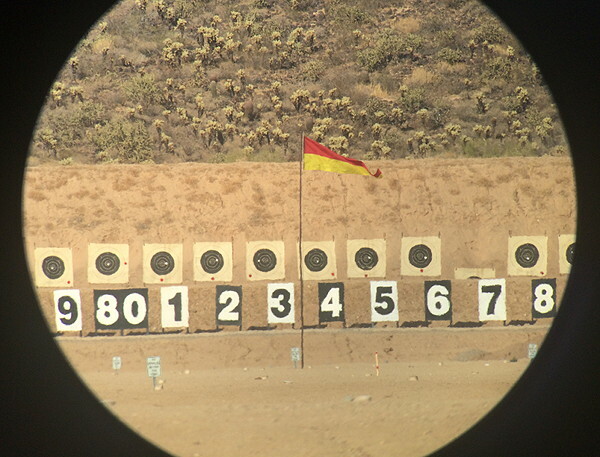 Above is a view from a spotting scope during the 1000-Yard Team Match on Saturday. 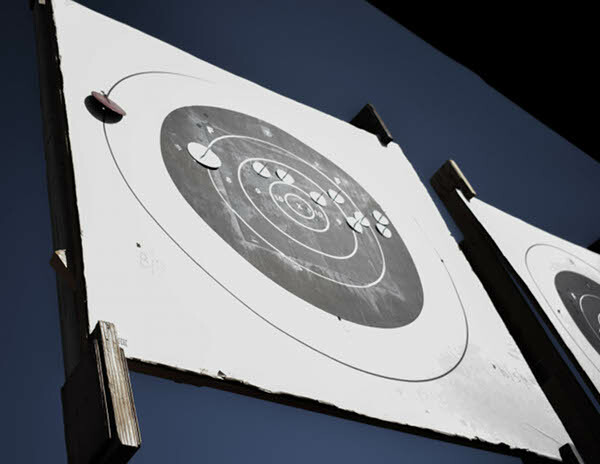 During the course of the day, there were many 7s and 8s showing on the targets. One competitor said “the wind was so bad, I was holding off the frame”. Team Lapua/Brux/Berger shot great in tough conditions on Saturday to win the F-Open Team competition. Second from left is Jay Chistopherson, AccurateShooter.com’s System Administrator. When he’s not shooting, Jay works hard to keep our Shooter’s Forum and content sites running smoothly. 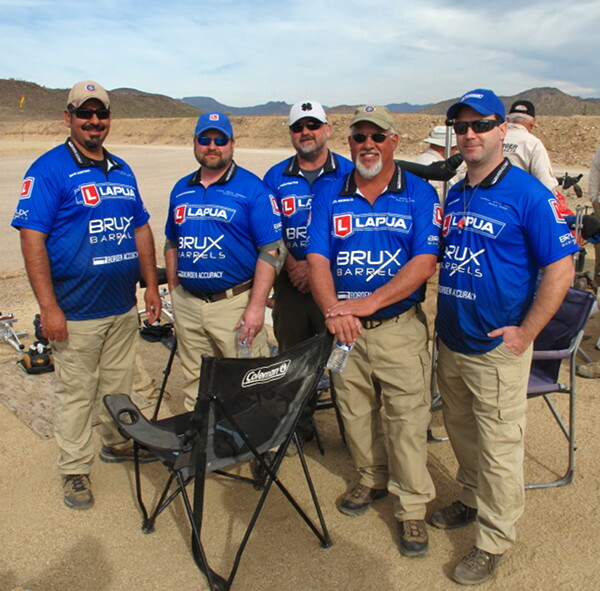 The team announced: “Team Lapua-Brux-Borden pulled off a major win today at Berger SW Natinols. Conditions were very challenging but our wind coach was able to keep up with the conditions. Our rifles shot very flat which allowed us to rack up points and Xs. We have a great team and amazing sponsors: Lapua, Brux Barrels, Borden Actions, Cerus Rifleworks. 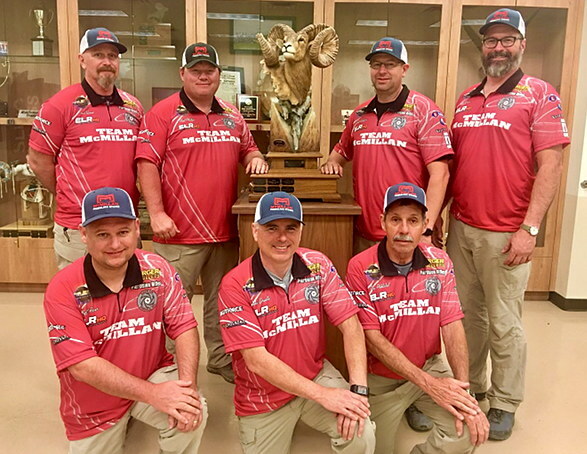 Team members: Jay Christopherson, Eric Cortina, Steve Harp, Tod Hendricks, Pat Scully, and Bob Sebold. Notably, Bob Sebold also won the 2018 Berger SWN Individual F-Open title, making him a double champion. 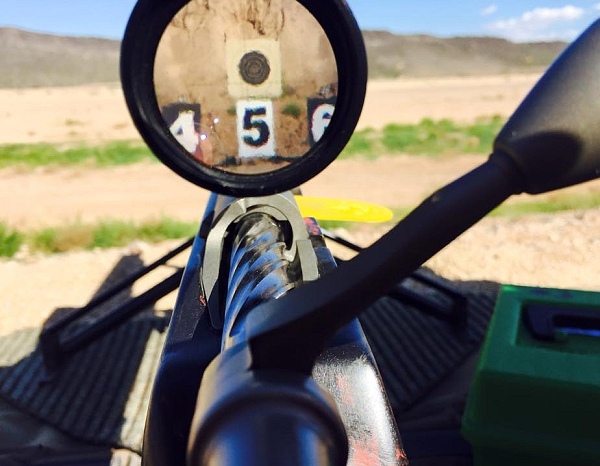 Eliseo Tubegun with Nightforce Competition scope. These versatile rifle chassis systems are produced by Competition Machine in Cottonwood, Arizona. There couldn’t be a match without the dedication of the folks who work the pits. At the Berger SWN, competitors did pit duty, ferried by trailers, and there were also some volunteers. They say behind every successful man is a good woman. Derek Rodgers, current F-TR World Champion, is no exception. His wife Hope Rodgers was on hand throughout the SWN to cheer on her husband. 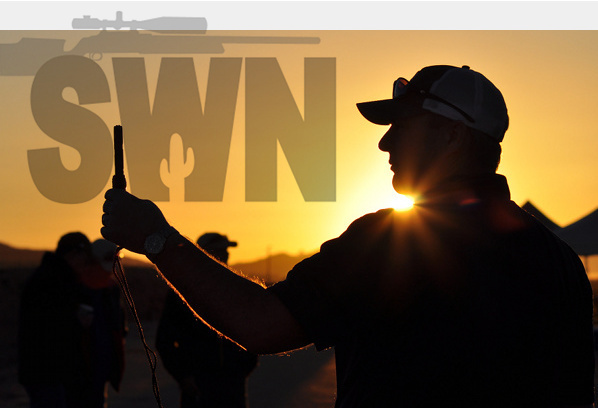 For many sling shooters, the Berger SWN is the second most important event of the year, right after the NRA Championships, held at Camp Perry (OH) and (now) Camp Atterbury (IN). Check out those patches. 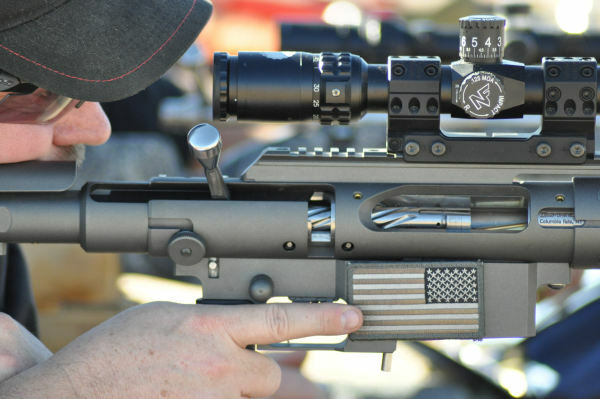 Last year Berger Bullets was acquired by the Nammo Lapua Group. Berger Bullets, along with Lapua Products, SK Ammo, and Vihtavuori Powder, are now distributed in the USA by the Capstone Precision Group. Berger will continue to offer its full line of bullets, plus Berger-branded Ammunition (formerly ABM Ammo). Likewise Lapua will continue to offer its superb caftridge brass, plus Lapua’s full line of bullets and loaded Ammunition. In this video, Capstone’s Director Bill Gravatt explains how Capstone is working to expand the availability of Lapua and Berger products. In addition, Eric Stecker explains how Berger Bullets can increase production significantly, now that Berger is operating in the large Nammo/Lapua facility in Mesa, Arizona. 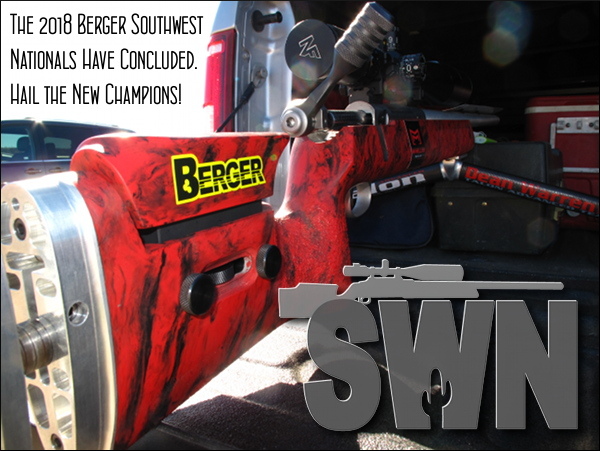 Today is the last day of the Berger Southwest Nationals. After the cancellation of Sunday’s 1000-yard matches due to high winds, this year’s 2018 SWN concluded with the Award Presentations. We watched as scores of medals — along with heaps of cash and Berger bullets — were handed out. AccurateShooter.com also awarded prestigious Corinthian awards to Nancy Tompkins (Sling) and Rick Jensen (F-Class). 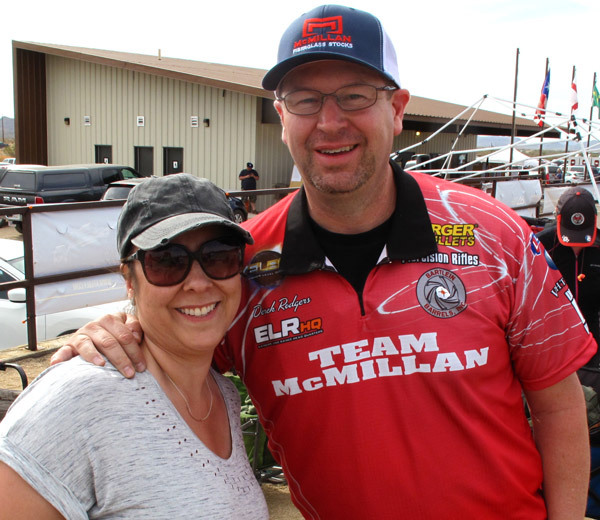 Team McMillan was the top-performing F-TR squad at the Berger SW Nationals. The team includes many former members of the all-conquering Team Sinclair. Share the post "Berger SW Nationals 2018 — Hail the Champions"
Sunday cancelled due to wind.